- Six match tickets and matchday passes to The Cropleys Lounge. - Complimentary matchday programme for each guest. - Three-course meal prior to match (including wine). - Full-time buffet and half-time refreshments. - Presentation of matchday memento. 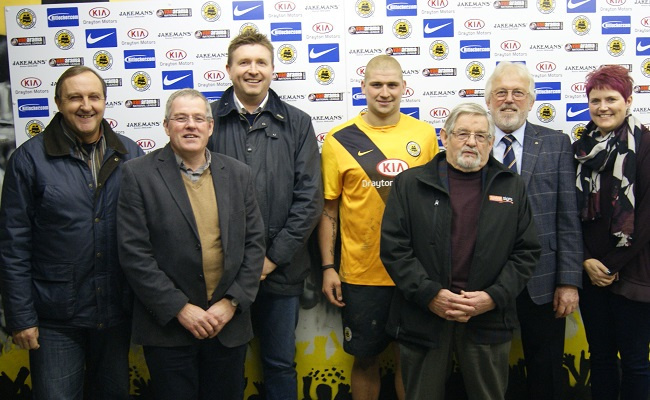 - Nominate and present 'Man of the Match' award. - Advertising on the stadium PA system. - Company acknowledgment in the matchday programme and inside front cover logo. - Stadium tour before match. - Commemorative photographs sent out afterwards. - Opportunity to distribute marketing materials on the day. - Four match tickets and matchday passes to The Cropleys Lounge. - Photograph with 'Man of the Match' choice. Please contact Craig Singleton on (01205) 364406 for further details.